Even in the cleanest house, a plugged or backed up drain can create problems with moisture as well as with the health of the residents and pets in the house. If you find water or worse around a drain, whether it is a shower, dishwasher, toilet or other drains, professional help is a benefit. 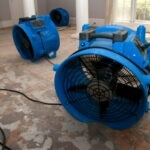 Are you looking for drain cleaning in Costa Mesa? If you need help, with your nasty drains or their contents in the wrong place, Tweedy Plumbing & Restoration has the most professional and trusted cleaning service for drains in Costa Mesa and the surrounding area. Although a backed up pipe is a distinct indication that prompt action is needed, it is far easier and less traumatic to do the necessary maintenance so that the pipes are always free-flowing and never back up into your living area. Tweedy works for both residential and commercial clientele. We have the skills and experience to provide the top techniques and state-of-the-art technology. We can provide high pressure hydro jetting services for your spa. In addition, we offer flat rate prices to avoid giving out clients sticker shock. The cause of problems in the drains and pipes can vary according to the area where they are located, as well as outside influences. Grease build-up can occur in kitchen drains and garbage disposals. In sinks, showers and laundry units, the problem of hair and soap buildup creates a nasty plug. Main drains outdoors can be affected by tree roots and shifting earth. Determining where the backup is located and why it has occurred is a job which should be done by professionals. Our equipment is designed to make diagnosing and repairing problems efficiently. We offer in-line camera inspection, so you don’t have to dig up your entire lawn or garden to find an area with issues. We also have the correct equipment to locate pipes which are underground. This is particularly helpful in an older home where you are not certain where pipes and shut-off valves are located. The state-of-the-art equipment allows us to repair elements of pipes, even those which are underground. We can supply pipelining without destroying your lawn. We can also fix pipes which have burst and are spewing unwanted liquid in areas where health and aesthetic appeal of your inhabitants and structure are concerned. Choosing a drain cleaning service requires thinking about your needs and choices ahead of time. Call 949-645-2352 to schedule a service call today!